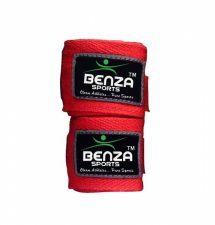 Boxing hand wraps are tightly wound pieces of cloth that generally support the wrists, knuckles and fingers of boxers and other combat-sport athletes. 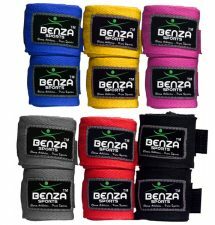 They help protect against impact injury. 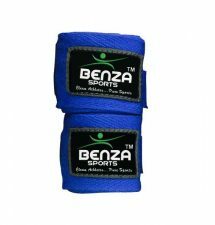 Many athletes form preferences about their hand wrap—favoring certain brands, wrapping methods and more. 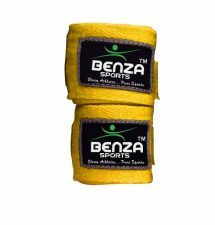 Boxing hand wraps crafted of synthetic material provide comfort during long wear. 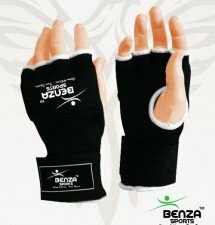 Your wrap should be constructed of breathable fabric to keep your hands properly ventilated. 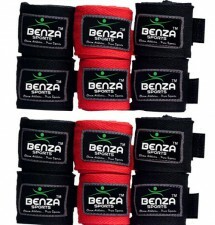 Moisture-wicking technology helps keep sweat in check with every jab. 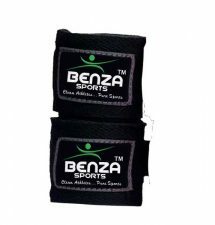 Stretchable fabric creates a custom-like fit, while thumb snap enclosures, hooks and loops ensure your fabric stays in place as you move. 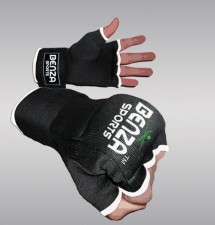 For an extra layer of protection against impact, try boxing wraps and gloves lined with responsive gel or foam padding.